The notion of “the gift” has played a big role in twentieth and twenty first century sociology, philosophy, and theology. 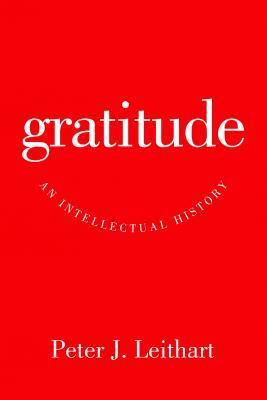 For all the reflection that has been done on the nature of gift-giving, Leithart sees a lack of serious reflection on the response of gratitude. This book seeks to fill that gap in the literature by tracing ideas about gratitude from the ancient world and the advent of Christendom, to the Renaissance, Reformation, and Enlightenment, and into contemporary thought. The tight circles of gratitude between patron and benefactor in the ancient world gave way to the “ingratitude” of the Christian church toward their Roman patrons. The Enlightenment picked up this ingratitude and applied it to tradition in general. Contemporary sociology rediscovered the existence of “gift” economies, and contemporary philosophy struggled with whether true expressions of gratitude are necessary or even possible. This, in brief, is the plot of Leithart’s story about the role of gratitude in Western culture. Leithart, demonstrates a wide-ranging command of literary, philosophical, sociological, and theological sources. The project is ambitious, and it leaves plenty of room for debate, detraction, and development. However, its overarching narrative is convincing. Leithart’s extended treatment of Shakespeare’s Corolianus as an example of shifting Renaissance understandings of gratitude is a particularly strong point. This is a creative and engaging book. Like many of Leithart’s books, it is theological at its core, even while its appeal spans multiple disciplines. This novel was a fun romp between modern day NYC and early 20th-century England and Africa. It is the generally well-written story of lawyer Clementine Evans’ journey between romance, family, and career vis-a-vis an exploration into her grandmother’s story as she contemplates these things between trying to make partner at her large Manhattan law firm. 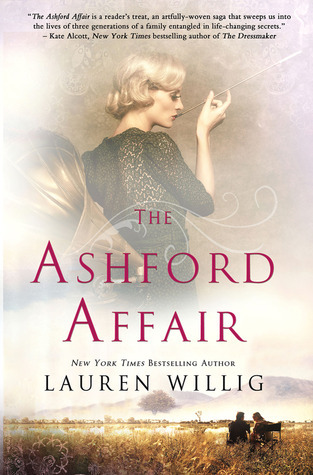 I particularly enjoyed the rich historical details of life for children on Ashford Park, the large estate at which Clementine’s grandmother, Addie, and grandmother’s cousin, Bea, lived and the way the plot, rich with family secrets, unfolds. Clementine (or Clemmie, as she is known to those close to her), is a likeable enough character. I both empathized with her hard work toward her career goals and felt sorry that she spent too much time working and not enough time inhabiting her life (a familiar struggle to those building their careers). While Bea and Addie’s stories were incredibly fascinating, I occasionally grew tired of the limited options available to them as early twentieth-century women, though Willig’s treatment of their stories was continually engaging. I enjoyed this book because, whether or not I always liked the characters or what was going on in their lives, I cared about what happened to them. There is a lavish amount of romance and mystery through the generations to keep the reader engaged throughout the story. Those whom enjoy family histories and mysteries, movement between time periods, and attention to historical details, will likely appreciate this book. The Shining is a story of a man named Jack Torrance who is a recovering alcoholic. As the means to support his wife, Wendy, and son, Danny, he has taken a job as caretaker of the Overlook Hotel which is tucked away in the Colorado Mountains. As the snow sets in, he and his family are cut from the rest of the world. Jack has to keep his mind clear to keep from going stir crazy and doing the unthinkable. But will he?? Stephen King did terrific job with this novel. The story was so descriptive to the point that it left nothing to the imagination and that is what scared me the most. I felt as though I was right there inside the Overlook Hotel watching as the events unfolded. Not only is this a gripping story but also the characters are well developed and it was easy to understand why they reacted to certain situations the way that they did. I felt the way he portrayed the relationship between Danny and his parents had a very powerful effect on the story as a whole. It made the events that much more disturbing and bothersome. This book was part of the SCC library’s book club and had it not been for that reason I would have not picked this book up to read. I am not a fan of horror books. That being said, I am not disappointed that I was brave enough to read a story that had me on edge from beginning to end. Stephen King is an amazing storyteller and I would recommend this book to anyone who gets a thrill from spooky stories with nail biting suspense that makes you hear and see things that aren’t really there… or are they??? 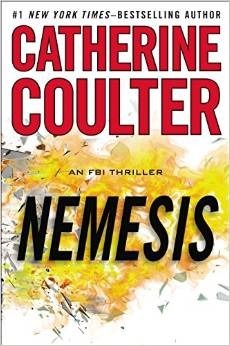 Nemesis by Catherine Coulter is the 19th book in Coulter’s FBI Thriller series. Married FBI agents, Dillon Savich and Lacey Sherlock, are each handling their own cases in this novel. Sherlock thwarts a terrorist attack at JFK Airport. Savich is involved in a case of a murder at the Rayburn House Office Building in Washington, D.C. Neither the terrorist at JFK nor the murderer at the Rayburn House wanted to fulfill those roles, but were forced into playing them. Sherlock and Savich must find out who is behind the plots and put a stop to any future incidents. Part of the plot of Nemesis involves the occult. Part of the plot of the previous FBI Thriller, Power Play, involved psychic ability. These elements have also been in some of her previous novels, but Coulter seems to be making greater use of them in her more recent novels. As an added bonus, there is usually a love story in Coulter’s FBI Thriller novels. This novel is no exception. Coulter’s novels are quick reads and a nice way to spend a rainy day. This book consists of a series of conversations between Richard Burgin and the Argentinian writer Jorge Luis Borges. Their exchanges took place in Cambridge, MA during the 1967-68 academic year while Borges was a visiting professor at Harvard. Though Borges’ stories are complex, intricate, and allusive, he states in the Prologue that “Rereading these pages, I think I have expressed myself, in fact confessed myself, better than in those I have written in solitude with excess care and vigilance” (vii-viii). While these conversations are casually conducted and wide ranging, Burgin steers them expertly. Much space is taken up with discussing the themes and styles of Borges’ stories and poems. From these particulars, the conversations branch off into exchanges on the nature of philosophy, English literature, film, fascism, Borges’ relationships with other writers, and much more. Burgin does an excellent job of provoking Borges to extensive reflection on his life and work, while also pressing him to define and clarify important ideas. 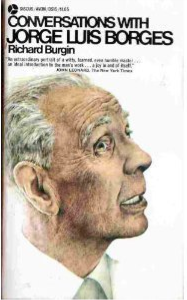 By the time of these interviews, Borges had gone entirely blind. His insight into how this handicap affected the process and shape of his work is one of the more fascinating parts of the book. For an author with such a deep love and knowledge of books, the loss of sight was undoubtedly tragic. Yet, Borges recognizes that his limitation forced him to write the short, concise pieces of fiction for which he is famous. These conversations will be revelatory for anyone who has enjoyed Borges’ writing. This story is mostly about four middle-aged women who are the best of friends. They are house guests of Teresa “Toots” Loudenberry, a wealthy widow. 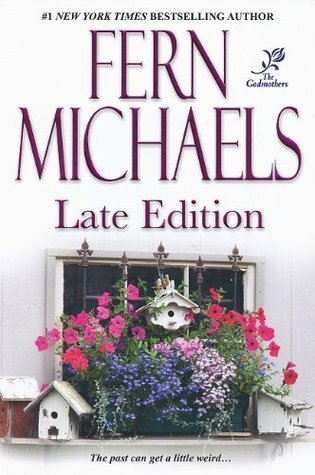 The story seems like it is straight from the tabloids, perhaps that why it is titled Late Edition. Sophie, Ida, Mavis, and Toots have known each other since 7th grade and have developed a long lasting friendship. Thanks to Toots’ hospitality, they have come to live with her in her Los Angeles home after life-changing events. They travel with Toots to Charleston, SC for a little rest and relaxation. Sophie gathers her friends one evening to conduct a séance, which reveals mysterious messages leading them to believe someone murdered Ida’s deceased husband. The foursome set off on an adventure to uncover the murderer. Lucy Sheridan grew up in Summer River, but it’s been thirteen years since she was last there. 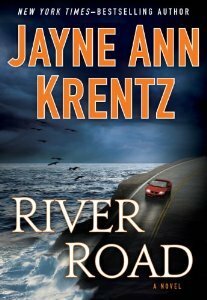 As a teenager she was sent away by her aunt after being dragged out of a wild River Road party by Mason Fletcher. Mason, the boy she had a crush on, was several years older and didn’t seem to be interested in her. After her aunt’s fatal car crash, Lucy returns to close up her house for the family. The town has blossomed into a trendy weekend getaway. Mason now runs the hardware store for his uncle. When Lucy stops in to pick up supplies she rekindles his interest. He and Lucy team up to uncover mysteries surrounding a dead body found behind her aunt’s fireplace, but someone sets the house on fire before they uncover anything. Lucy uses her forensic genealogist mind to try and identify who is responsible for several mysterious events.